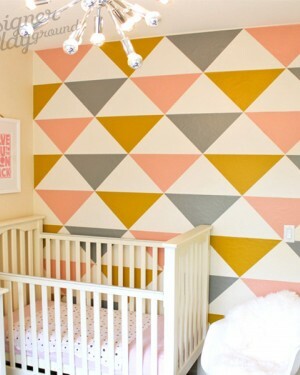 This contemporary triangle geometric wallpaper will transform your wall into a sophisticated one. HIgh quality wall pattern, easily wraps around or in a corner, seamless pattern that you can cut, join and continue the way you want it. It's a fashion thing now! Comes ready with adhesive. [ STAND.. 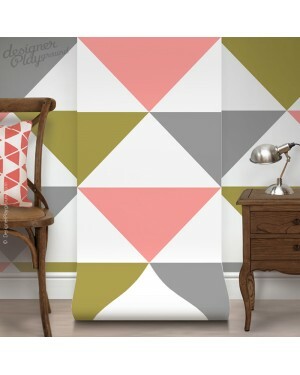 This contemporary triangle geometric wallpaper will transform your wall into a sophisticated one. HIgh quality wall pattern, easily wraps around or in a corner, seamless pattern that you can cut, join and continue the way you want it. It's a fashion thing now! Comes ready with adhesive. Order a few ..